The email landscape is constantly changing. Car dealers and marketers alike must find a way to get through all the noise to get their message across. Email marketing is an excellent outlet to that, and remains an effective way to reach and attract customers when best practices are followed. 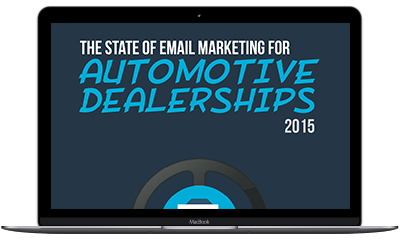 In our ebook, The State of Email Marketing for Automotive Dealerships 2015, we analyze the biggest email developments of the year and provide tons of actionable tips to prepare your email marketing effort for these changes. Optimize for different screen sizes - Reliance on mobile devices for email is on the rise. Send relevant email - With new inbox organization features, timely and important content is necessary your reader's attention. Adhere to spam laws - Stay up-to-date on the most recent CAN-SPAM requirements. Email industry advancements - Conquest email has become more accurate.